How do you feel when you need to compromise on a smoking hot dress for something less classy when you have the fear of dandruff flakes been seen on your shoulder? Dandruff is normally the result of dead skin cells, oily skin on scalp and mental stress. This is in fact one of the most irritating skin problem! But, luckily, the market is full of reliable products that promises to get you rid of hair fall and fulfill it as well. Most of the products are made of natural and herbal extracts and therefore help you fight other hair related problem like hair fall too and bring back the lost luster and strength. 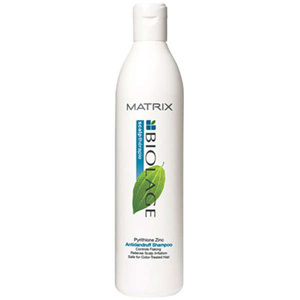 Matrix Biolage Scalp Therapie Anti-Dandruff Shampoo works perfectly well for most difficult dandruff. The shampoo contains Pyrithione Zinc and Bio Cushion Complex that deep cleanses your scalp and retains its lost softness. The revitalizing powers of kola nut and mint complex also help you maintain your cool. Disadvantages include that its sweet aroma does not last for long and the chemicals used are not suitable for sensitive skin. 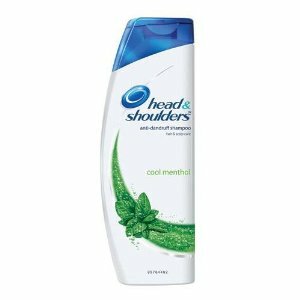 Head & Shoulders is a trademark of anti dandruff shampoo for the Indian market. It cleanses dandruff thoroughly, is gentle on the scalp, lathers well and leaves your hair silky, smooth and shiny. This oldest anti dandruff shampoo is affordable and smell good too. The only drawback of this shampoo is that your hair tends to dry out soon. 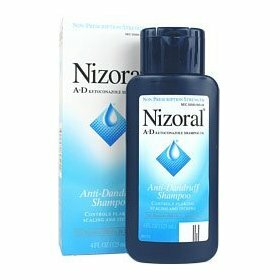 Nizoral anti-dandruff shampoo contains ketoconasol that prevents fungal or yeast infection on your scalp. It is highly effective on dandruff and results are noticeable from the first wash itself. It also help you get rid of hair fall problems and is very affordable. However the high content SLS may not be suitable for sensitive skin. It is not easily available is small cities. 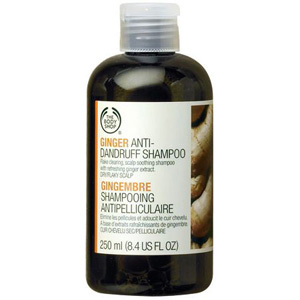 Ginger Anti-Dandruff Shampoo comes in sturdy packaging. It clears dandruff flakes and soothes scalp. It also removes extra oil from the scalp and also at the same time maintains its moisture so that dandruff does not reoccur. Disadvantages include the high Parabens and SLS content which makes it unfit for regular use. Plus it is a bit too expensive. 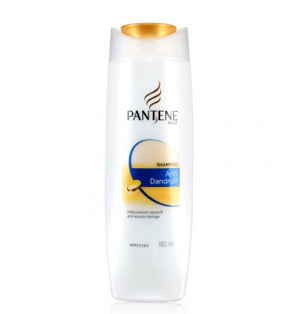 Pantene Pro-V Anti Dandruff Shampoo is one of the most trusted brands in the market. The ZPT and Pro-V formula fight scalp problem and in addition to removing dandruff also bring back the lost volume to your hair. It is suitable for regular use and the sweet smell does not leave for long. But the SLS content might not be good for sensitive skin and also it is not effective on heavy dandruff. 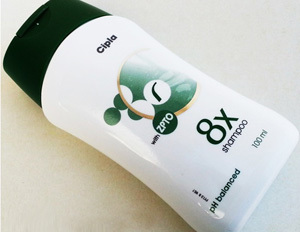 Cipla 8X anti-Dandruff Shampoo has the goodness of Cicloprix and Zin Pyrithione along with Aloe Vera extracts that acts as conditioner for your hair as well. This product is highly recommended by dermatologists because of its multipurpose actions. However this product is only available in medical stores. 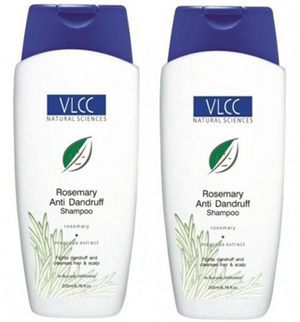 VLCC rosemary anti-dandruff shampoo is made of the extracts of Tea tree oil, Rosemary, Indian Gooseberry, Hibiscus Flower and Margosa. This totally herbal product has the ability to control excess oil secretion from scalp and solve scalp related problems like dandruff and hair fall. However, its fragrance is not that charming compared to other products in the market. Also it is not very effective on chronic dandruff. 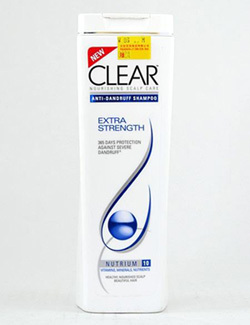 Clear Nourishing scalp care anti-dandruff shampoo is especially formulated for women. The Nutrium 10 content keeps your hair healthy, beautiful, long and strong with no traces of dandruff. It works on the scalp by penetrating deep into the root. Also the fragrance keeps you fresh all day long. However the high content SLS and other chemicals may not be suitable for sensitive skin and is prone to reoccur. 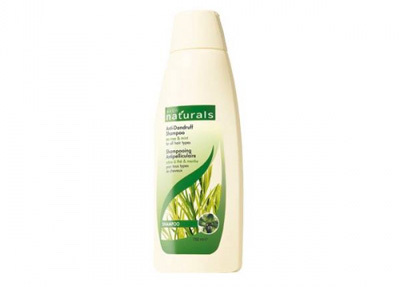 Avon Naturals Anti Dandruff Shampoo contains tea tree and thyme extracts with good amount of silicones and SLS. It helps you get rid of frequent irritation on the scalp and suits all hair types. Since it does not contain Parabens, your hair is left wonderful and smooth after every wash. But the Sulphates and Silicones content does not make it that effective on oily dandruff. Ok, all products are good. Whether I can use clean&clear or head &shoulders? head & shoulders citrus one is the best till date. i have used almost all affordable shampoos that are easily available and this one is the best. Dear friend, from where you’ve got citrus breeze in India.. I m looking for it..can u help..
too much dandruff and little hair fall..